The Labor Day Classic takes a backseat to hurricane recovery. The Labor Day Classic has now become The Thanksgiving Classic, thanks to Hurricane Harvey. 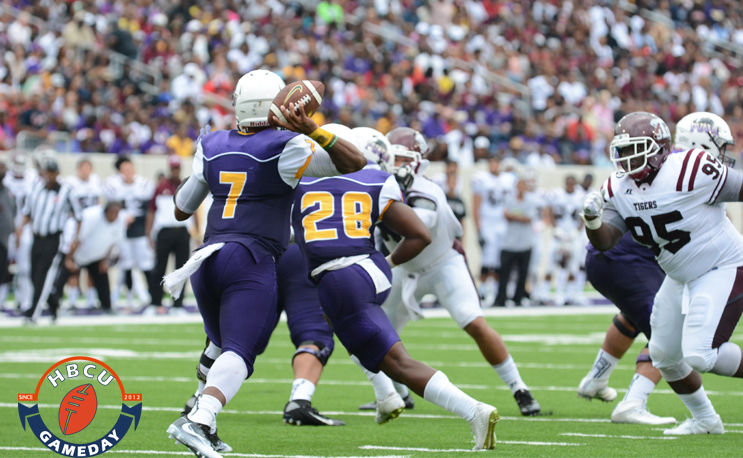 The annual rivalry game between Prairie View A&M and Texas Southern has been postponed until the week of Thanksgiving, according to Texas Southern. This news, of course, comes as the Gulf coast is being ravaged by the remnants of the hurricane-turned-tropical storm that has pounded the Houston area. It made landfall in the area on Friday as Texas Southern was on its way to take on FAMU in its season opener in Tallahassee. TxSU lost that game 29-7, but that loss was nothing compared to the devastation the folks back home were, and still are, enduring. It was set to take place at BBVA Compass Stadium, located in downtown Houston. That area of the city has been devastated according to reports. It was to be Prairie View’s opener.